My Olive Tree began with a vision to help fulfill biblical prophecies of restoration. The heading of this passage in the New King James Version is: Israel Will Be Restored. The verses before painfully prophesy the coming destruction of Israel where it says that Israel will be “sifted” and “destroyed.” So often we skip over the bad and look at the promise of prosperity without looking at the journey that it takes to get there. Restoration is birthed out of brokenness. The restoration of Israel, her people, and her land is truly at the heart of all that My Olive Tree does. I think you could say that restoration is our heartbeat. So, you can imagine the honor we felt when the Israel Nature and Parks Authority in Jerusalem asked us to be a part of the restoration of the King’s Valley. 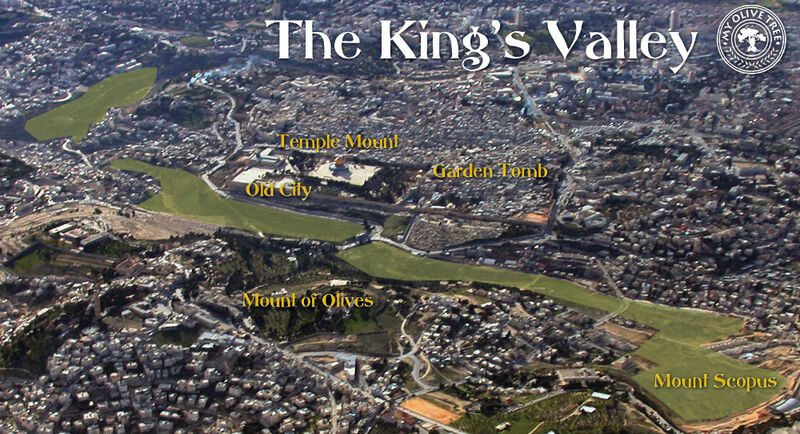 Historically, the King’s Valley (Silwan Valley) was a private garden for the kings of Israel (see 2 Kgs. 25:4; Jer. 52:7; and Neh. 3:15). Prophetically, the King’s Valley is the location at the foot of the Mount of Olives where we believe that Messiah will come, walking through the valley up to the very gates of Jerusalem! 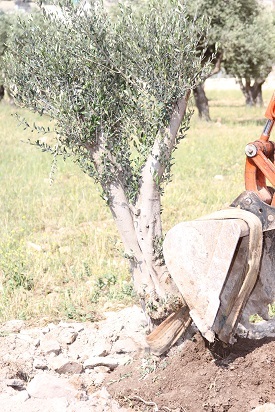 We are planting 10-15 year old olive trees to prepare the valley that will see His return! I humbly say that I have witnessed some amazing things with My Olive Tree but this project is one of my favorites! The fact that Paul and Megann Marcellino have a tree in the King’s Valley…the valley where our Messiah ascended and will return…wow! I think our efforts are similar to preparing for company or this case a great wedding! When company comes you clean the house, tidy the yard, go grocery shopping for their favorite foods, get a plan in place, have a momentary chaotic breakdown and consider rescinding your invitation…and then keep moving. 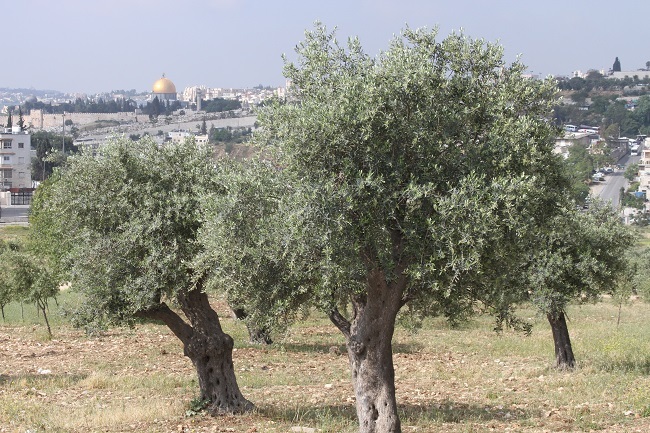 The work that My Olive Tree does…especially the King’s Valley…is preparing the land for the Messiah’s return. Only our work is A LOT more fun than vacuuming. For many Jewish families being buried on the Mount of Olives is one of the highest honors. There are burial tombs dating back to the First Temple period. In 2009 it was reported that 1.3 acres was sold for 24 million for “VIP” graves—with expected profits over $100,000,000. At the same time individual plots were available for $8,500-$50,000 depending on location. All said to say: the Mount of Olives is coveted and important real estate. In that day…our tree will be there. Our tree will be a witness to His great return. And this may be naïve of me, but I can only hope that when He comes He finds the valley lovely and our tree fruitful. For more information about the King’s Valley CLICK HERE.